Posted on September 20, 2016 by RACZBoard Posted in Arts Education	. It’s out of the tower and on the run as a zany cast of friends and foes help Rapunzel’s harrowing escape from the towering imprisonment of Madame Gothel. Add a dash of French flair and a pinch of personal triumph and friendship and you have a story you won’t forget! 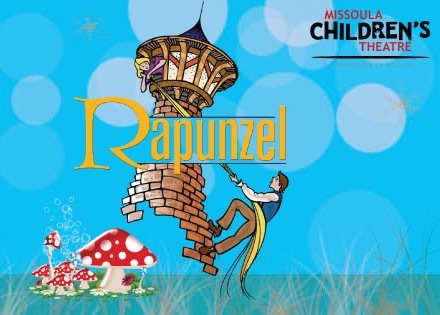 Join us on Saturday, October 1 when the Missoula Children’s Theatre and local students present an original musical adaptation of Rapunzel. All Zachary students, grades Kindergarten through 12th grade, are encouraged to audition on September 26, 2016. Auditions will be held at the Northwestern Middle School Girl’s Gym. Times will be adjusted to 4:15 to accommodate school dismissals. No acting experience is necessary. The Missoula Children’s Theatre will conduct a week-long residency in Zachary in late September. The week will be capped off with 50-60 local school age children starring in a full-scale musical. 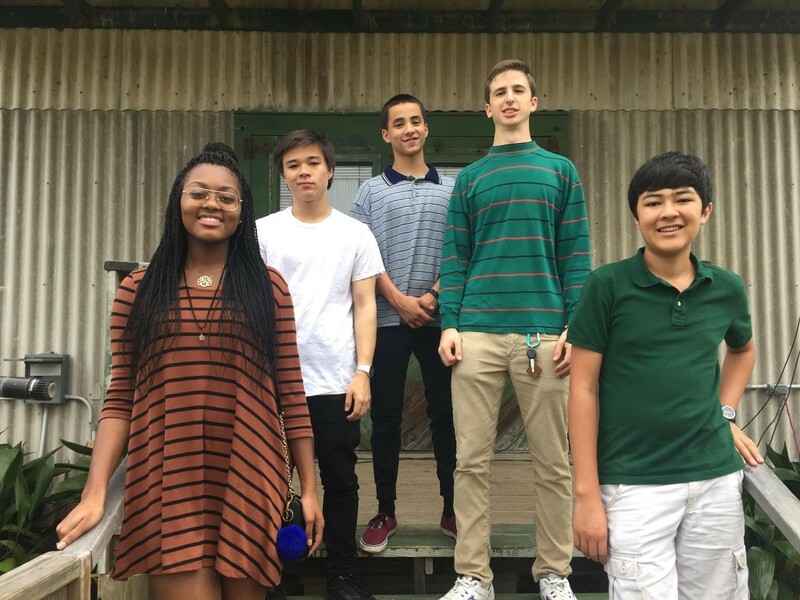 There will be two performances on October 1, 2016 at Northwestern Middle School at 3:00pm and 5:30pm. Tickets are $6 for children 12 and under and $10 for adults. Seats are limited so don’t wait to buy your tickets! Posted on May 7, 2015 by RACZsite Posted in Arts Education, Events, News	. 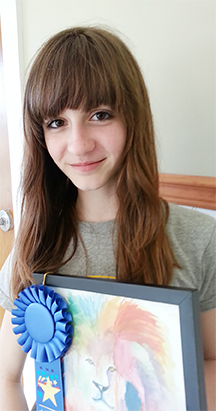 Madison Deckman’s “Rainbow Cheetah garnered the most votes from ZFest participants and received the People’s Choice Awards. 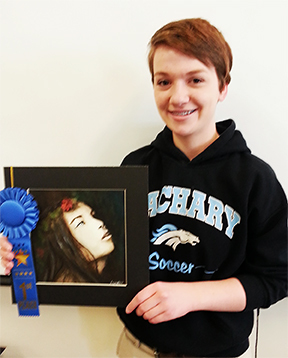 Renowned artist Della Storm judged the art show. 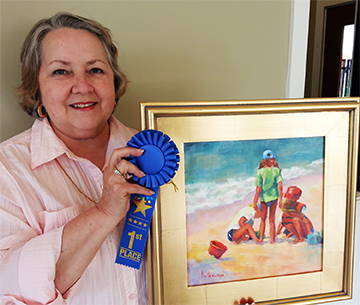 Storm, an award-winning artist, has works in many fine art galleries including The Cottage Fine Arts and Framing in Zachary. 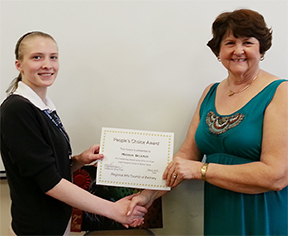 RACZ board member Margaret Harmon served as arts show chairman and coordinator. Adult winners are 1st place, Donna Kilbourne; 2nd place, Connie Ashford; and 3rd place, Raye Dry. Student winners are 1st place Under Glass, Janae D’Arensbourg; 1st place, Jessie Yantis; 2nd place, Madison Deckman; and 3rd place, Angelle Carter. 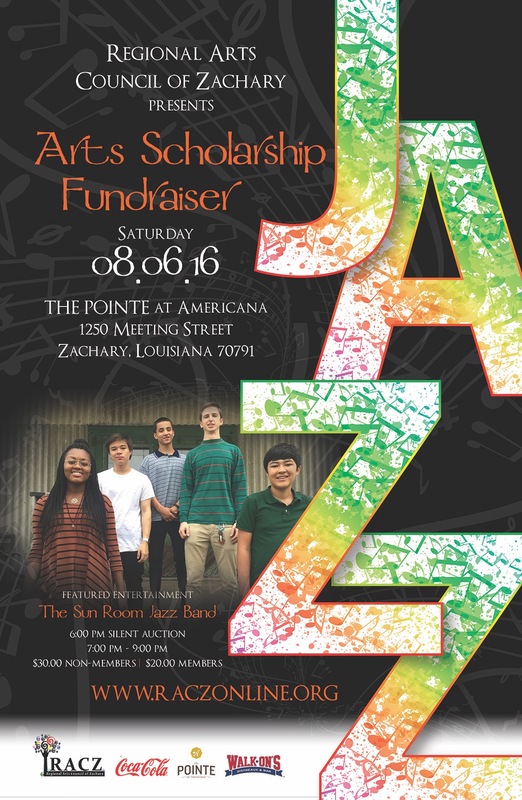 The Regional Arts Council of Zachary is a community partner supporting visual and performing arts and art education in Zachary and its surrounding area.